Every two years, the Young Crystallographers Group of the British Crystallographic Association nominates a speaker to give the prestigious Kathleen Lonsdale Lecture. 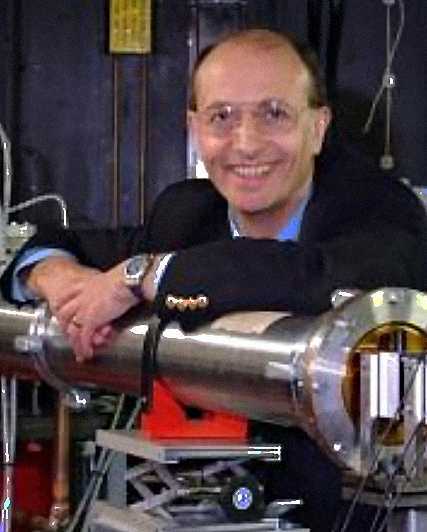 Traditionally, the group invites a respected scientist who has a good rapport with students. 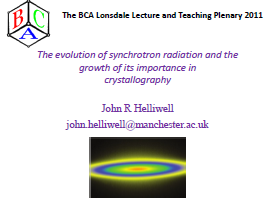 In 2011, John Helliwell of the University of Manchester gave a presentation on The evolution of synchrotron radiation and the growth of its importance in crystallography.